By far the most frequently asked question I get about my Centauride, both from horsey-types and not, is "where will you stay each night?" For most of the journey, the answer is "the hospitality of strangers." Beyond the first night or two (out of 1,300+), it will be impossible to know more than a few days in advance where I'll be when it's time to stop for the night. And while I do have an expected route, even that is a loose approximation which will change in its details based on road conditions, local traffic, weather, detours, and other unpredictable circumstances of all kinds. If I cannot even know which road I'll be on in two months or two years, I certainly can't make an RSVP for lodging! 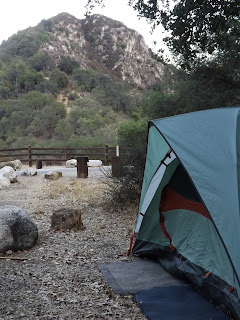 I will have an ultralight tent and minimalistic camping gear for myself and Apollo packed in our saddle bags, so that I can ask landowners for the hospitality of simply pitching my tent and picketing my horse, so as to impose as little as possible. Legendary longrider Frank Health also travelled this way nearly 100 years ago, when he simply couldn't call ahead to make arrangements even if he had wanted to. My mentor Lisa has ridden solo for thousands of miles in this way, depending almost exclusively on the hospitality of strangers, and assures me that it is not only possible in our modern times, it is necessary. Best of all, it will allow me yet another daily opportunity to talk to people about what I'm doing and why!